Series 6, Episode 1 is repeated on Radio 4 Extra on Saturday at 10pm. In each episode of this award-winning BBC Radio 4 series, comedian Mark Steel visits a UK town and researches its history, heritage and culture, after which he performs a bespoke evening of comedy for the local residents. 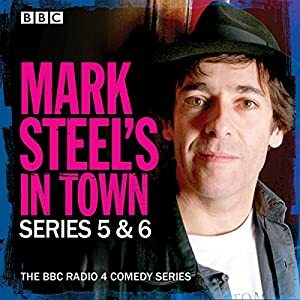 In each episode of this BBC Radio 4 series, Mark Steel visits a UK town and researches its history, heritage and culture, after which he performs a bespoke evening of comedy for the local residents. 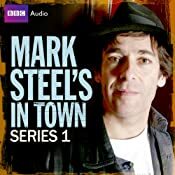 In each episode of this BBC Radio 4 series Mark Steel visits a UK town and researches its history, heritage and culture, after which he performs a bespoke evening of comedy for the local residents. 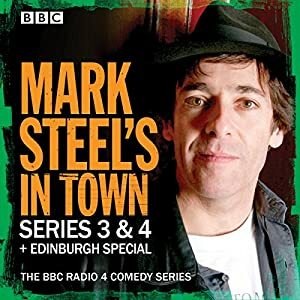 Following five series of the highly acclaimed, double-Sony Award winning and Writers Guild Award winning Radio 4 comedy show, Mark Steel's In Town, writer and stand-up comedian Mark Steel at last brings out a DVD, filmed this year on one of his hugely successful UK tours. The complete first series of the BBC Radio 4 stand-up comedy show, performed and co-written by Mark Steel.